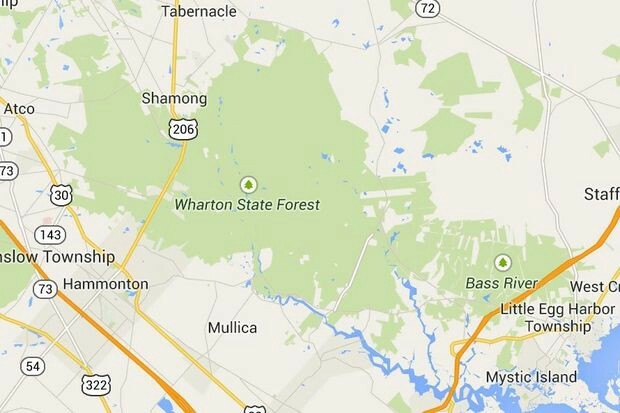 A forest fire at Wharton State Forest has burned over 200 acres on the south west side of 206 as of noon on Tuesday, Nov. 22. The New Jersey Forest Fire Service is working to contain the fire. “Right now we are concentrating on containing the fire,” Forest Fire Service Division C. Warden William Donnelly said. The fire was reported to the Forest Fire Service at 1:30 a.m. and is believed to have started at Sandy Causeway in the Waterford Hammonton area, near the Atlantic county line, according to Donnelly. The cause of the fire is under investigation. The forest fire has reportedly burned 200 acres; however, there are no injuries or structures or roadways affected by the fire as of now. “There has been no impact on the general public,” Donnelly said. So far the Forest Fire Service has been working to contain the fire by plowing control lines around the fire and having a back burn to combat the fire. According to Donnelly, southern and central New Jersey has been under a high fire danger warning. This is due to the dry weather, low humidity and windy weather conditions. The Forest Fire Service hopes to have the fire under control by the end of the day. Donnelly said that realistically the fire would not be put out until it rains. “The way the wind is blowing, there is risk of (the fire spreading). Right now we really need to concentrate on preventing the fire from escaping our control lines,” Donnelly said.